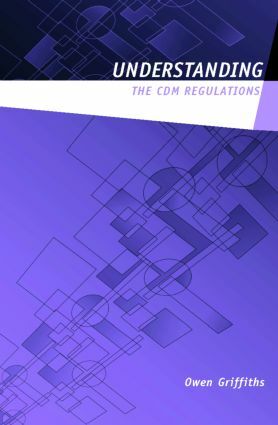 Understanding the CDM Regulations provides the construction professional with practical guidelines for the implementation of the Construction (Design and Management Regulations) 1994, with reference to the April 2007 changes to the regulations. These regulations have imposed significant duties upon construction clients, designers and contractors. This book introduces a coordinated framework for the management of health and safety during construction projects large and small.